Different companies have different recruitment processes. We work closely with everyone involved to help find the right role for the best candidates. Some companies accept CVs and some companies prefer you to complete application forms. • Present it well. Your CV or application will continue to work as a sales and marketing tool even when you have already secured an interview. It is likely that your interviewer will make notes on your CV or application during the interview and use it to help them to decide who to appoint. Even if they decide not to employ you for a particular role, if they can see your talents they may well consider you for other positions. You can adapt your CV to suit a range of purposes. When writing it, it’s a good idea to do your research, keep in mind who might be reading it and what they may be looking for. • In todays technology led work environment your CV will be expected in a digital format. You need your skills and experience to stand out. The employer needs enough information to decide whether to interview you or not. 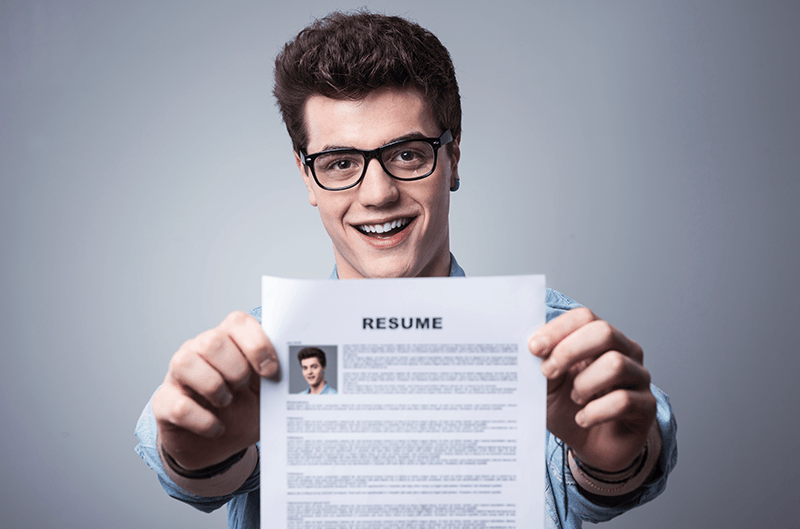 Established norms have dictated that your CV comply with a fixed layout and with a set expectation. Work habits, jobs and attitudes changing there is no such thing as normal and the established wisdom may not apply. Like in the Digital sector where career paths, expectations and skills are in some cases very different from more traditional businesses. Below is a list of sections that you can include in your CV. Discrimination legislation and greater moves toward equality mean that company practice and policy are changing. Your age, gender and marital status are no longer an absolute requirement. You do not have to include your date of birth for example. It’s almost expected across the board that candidates have been involved in a further or higher education course. Many companies are no longer considering degree or A Level results when assessing candidates, relying on in house assessment instead. Companies are changing their approach because they feel they may be missing out on talent by alienating candidates. That said if you do not have higher level qualifications list the ones you have succinctly and if you have gone on to obtain a degree, just listing the number and grades achieved will be sufficient. You may wish to list modules that you studied as part of your university degree if they are relevant to the position you are applying for. You may have a traditional career history and this makes writing about your past a lot simpler but with employment norms changing, many professionals work across industries and companies in shorter periods. There has been a rise in people with career portfolios. A portfolio career is one where for example you have worked on contract for more than one employer and possibly even in more than one role. You may even have worked freelance or had your own business or all of these at once during any period. People are also working in different ways in response to changing global, economic, industrial, technology and employment terms. This can all have an effect on employment history and how you present this. You do not need to go into detail for al the positions, it may be only the first two or three or just the roles you feel you want to highlight. Examples that back up your skills and experience. Choose examples that are most appropriate to the new position you are applying for. If you have any other relevant qualifications or qualifications, you gained while in employment that are relevant to the new position then list these in a separate section. This will be particularly important if you are at the beginning of your career and don't have an extensive employment history yet. • Professional and industry standard software. This will be different depending on the role and industry. You can have a folio hosted at Behance.net, Squarespace.com and Artstation.com and cgsociety.org and many others if you do not have your own website. English is the language of business, in most cases a working knowledge of fluency in English is a pre-requisite. If it is appropriate to the job you’re applying for, then list your skills in any foreign languages. State whether they are written, spoken business or technical and indicate your level of fluency, for example: fluent, good working knowledge, etc. With globalisation and economies changing, you may be required to do business globally from your desk. A fluent or working knowledge of languages in emerging markets can be a sought after. When it comes to hobbies and interests keep it short and sweet. Only expand on something if it directly relates or ties in with work or the company role you are applying for eg. They may have a well known football team in an inter company league. If an interviewer is interested they will steer the conversation in that direction, taking your cue from this you can expand more. This may be a good opportunity to connect on a personal level, if this happens try to stay professional. There is no need to name references on your CV merely state that "references are available on request". You should decide before you send your CV who will act as your references. Always ask permission before listing someone as a referee. This often appears at the beginning of a CV. It summarises experience, skills and ambitions. A profile is most appropriate for people in mid-career, however anyone can use one and it is a good way to attract the attention of the reader and explain straightaway what it is that you are capable of and what you are looking for in a career. Your Profile should be contained within four to six lines and only list those skills that are appropriate to your next employer. Highly motivated Office Manager with five years experience in administration. Able to work on own initiative and as part of a team. Proven leadership and communication skills, involving organising, managing and developing office administration team to achieve their objectives. Exceptional computer, writing and numeracy skills. Again it is not necessary to include a Key Skills section unless you feel that it’s worthwhile. You can use your covering letter to draw together capabilities that are evidenced across your employment history and experience. Depending on the role, if you do include a Key Skills section it can help you reinforce to the employer your suitability and capability for the position. This may be useful specially if you have a complicated career path (portfolio carer) and may increase your chances of being invited to interview. Remember when writing your CV that missing months (or even years) may be viewed with suspicion by a potential employer. If you have taken a career break for any reason, for travelling or to bring up a family for example, then remember to include it. It may be that during these times you have learned a new skill that could be relevant in the workplace- include these if they are relevant. Through the course of a year, be it in study, recreation or employment, you will experience a variety of new things and acquire many new skills. It is much easier to take a little time to update your CV every month rather than trying to remember what training you did on one day eight months ago. Preparing your CV will always be easier if you are updating and tailoring an existing CV rather than starting from scratch. Applying for a job by email is one of the fastest and most effective ways to send a CV. but there are a few things to bear in mind before you press 'send'. Make sure that you have a professional sounding email address, dirtyhotpants@spankme.com may sound impressive to your friends but it is unlikely to recieve the same positive response from a potential employer. • In the subject line of your email clearly state that it is an application and which position you are applying for. This means that your email can more quickly and effectively dealt with. • Rememeber that you are making a professional application and your tone should reflect that.